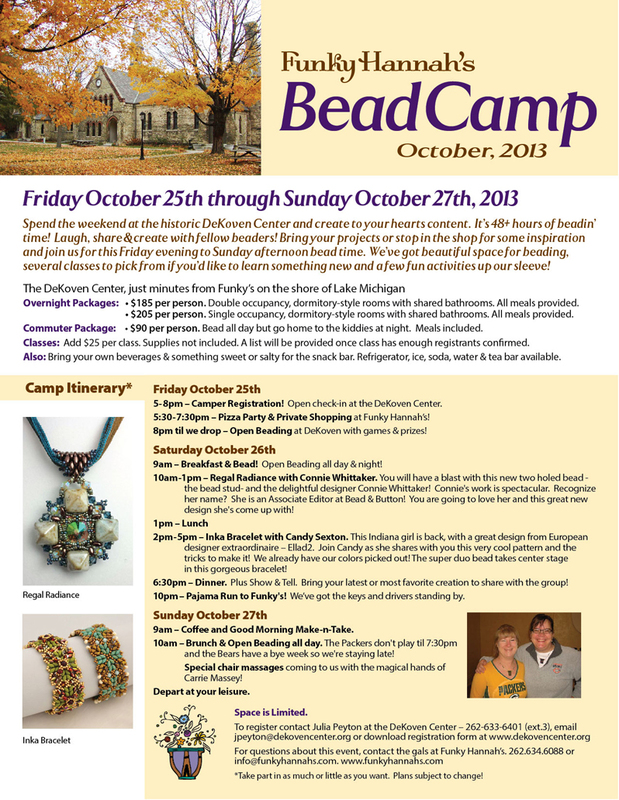 Bead Camp – Register Soon! 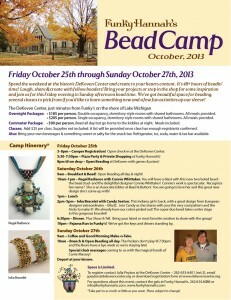 Bead Camp Registration Open Until October 15th! …held at the historic DeKoven Center just a few miles from Funky’s! Click here to download the flier! For questions regarding camp call or email us at Funkys! 262-634-6088.